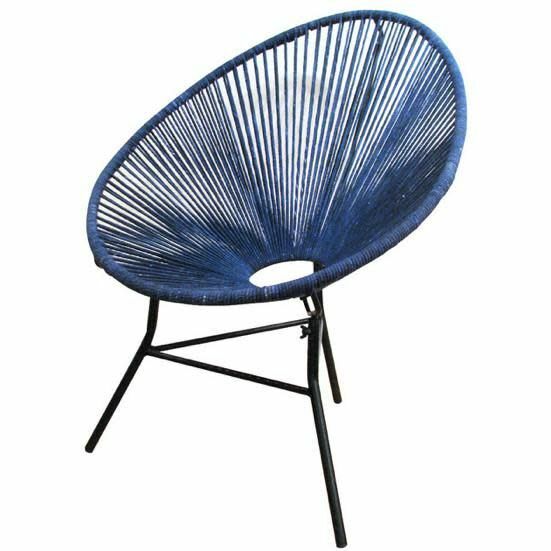 This lively chair has an illusion-like appeal with hand dyed, soft cotton cording installed in an ellipse shape. The iron base creates provides sturdy support as well as an appealing contrast. Place in a living room or bedroom for a fresh and funky side chair.